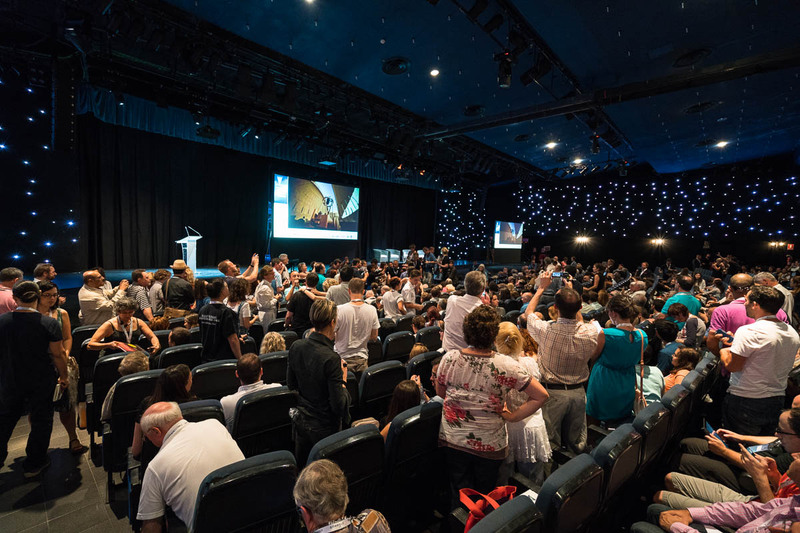 Starmus – Day 1: A Big Bang for the Brain! 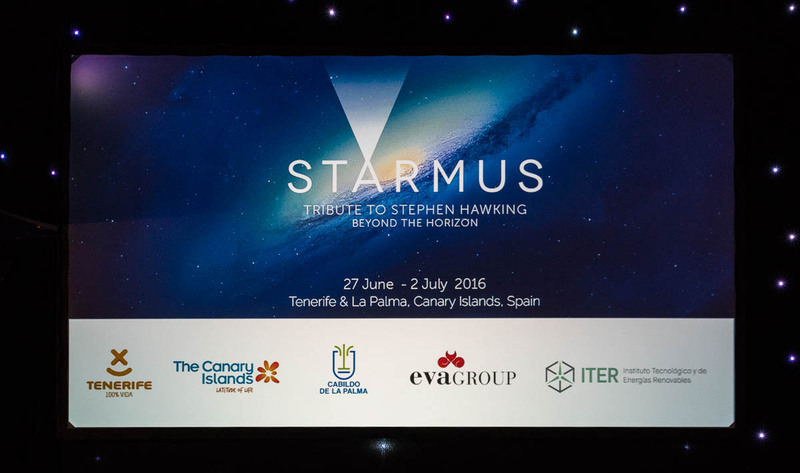 Still on Tenerife – today at the Starmus Festival. 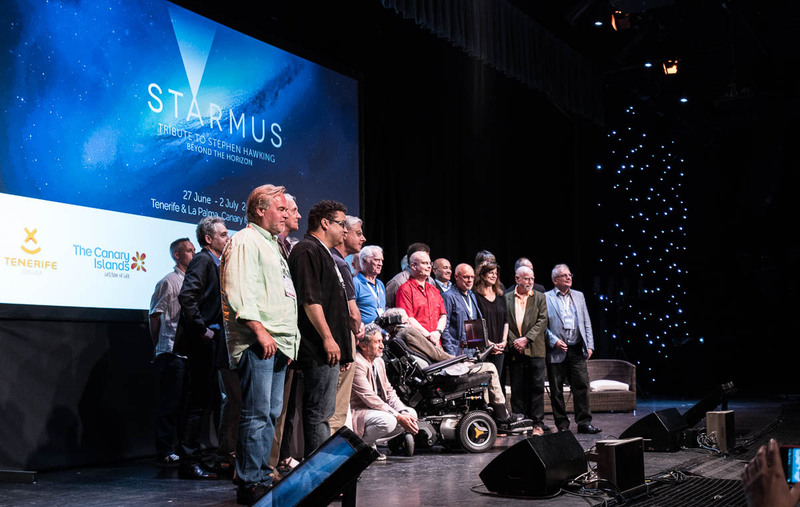 Hardly your usual festival, Starmus combines astrophysics, fundamental physics and music. 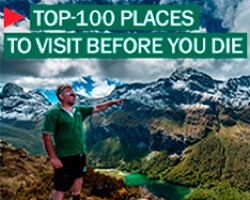 Never heard of it? Well, I hadn’t until this year, but here I am speaking at it already! 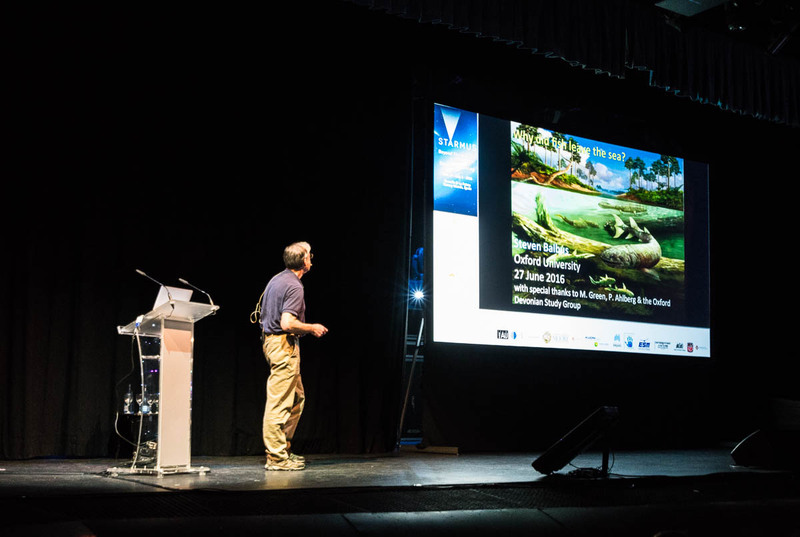 Briefly, this is a conference where the coolest, most distinguished scientists in the world give formal presentations and also speak plenty informally on the sidelines – about the stars, the cosmos and the microcosm, or whatever else is their particular niche they’ve devoted their lives to. 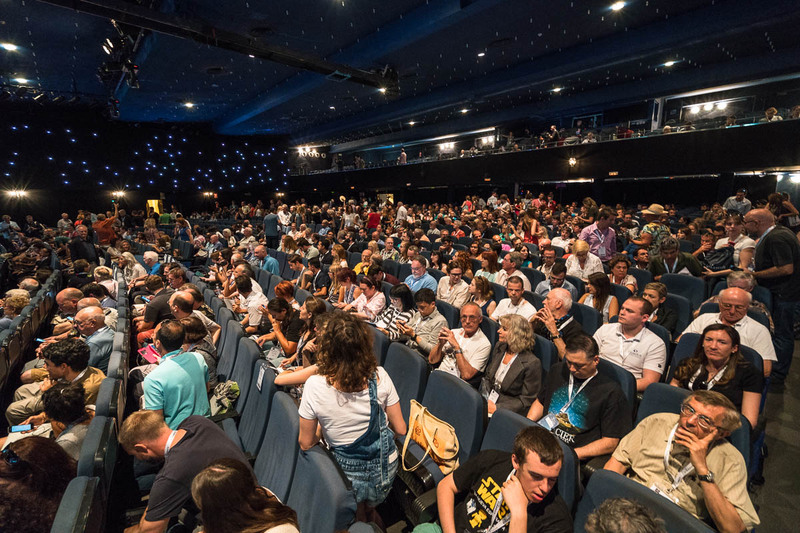 There were more than a thousand guests in the audience. 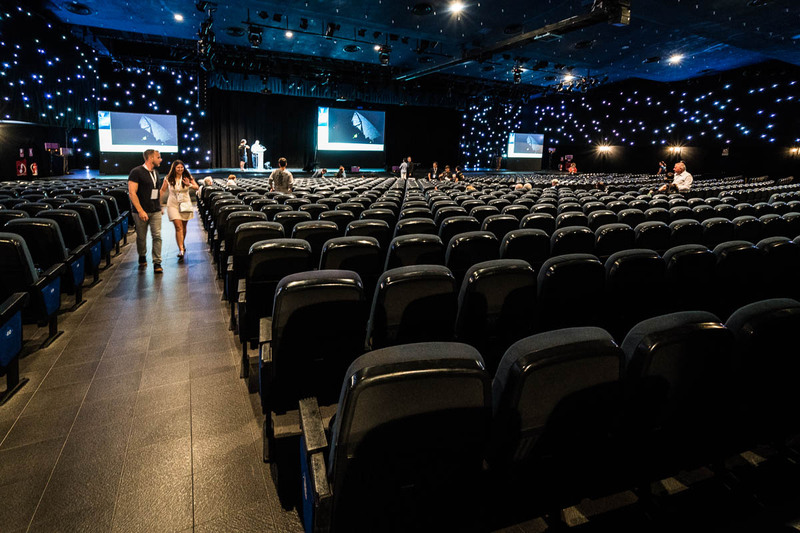 Wow: with tickets costing 700 euro (conference & show) if bought at the gig, or 500 if bought before, and 250 for students… works out the organizers have a nice little earner there. Practically everyone stood up to try get a pic of the man himself (Steve Hawking, of course!) when he entered the hall. Now, I’m a fan of his, but I really don’t need a pic of him real far away when there are plenty on the net and, well, why do I need a photo of him? It’s his ideas that are the bomb… but I digress. Getting grumpy in my old age :). The American astrophysicist and 2011 Nobel Physics Prize laureate. He told us about the speed of expansion of the Universe, how it’s studied, which measuring instruments are used, and which results astound them but which they still don’t understand. Curiously, the phrase ‘We don’t know‘ was uttered repeatedly throughout his speech. Respect. The American theoretical physicist and string theorist. 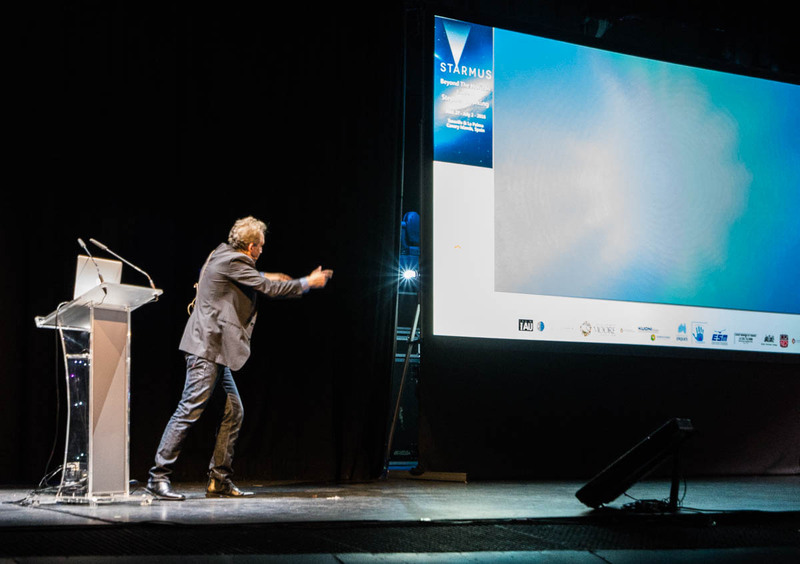 Animatedly told the audience all about strings, and also the multiverse and its relationship with the uni-verse and about the weird and wonderful theories which abound but which, he said: “I don’t agree with!”. 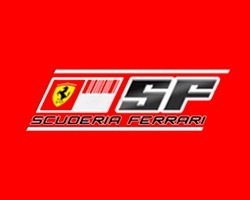 In all, a super presentation. The American astronomer and 1978 Nobel laureate in physics. He told us all about the cosmic microwave background and how they discovered it. Very cool. Amazing how they managed to pull off such a gigantic scientific breakthrough with what are today very primitive tools. He was particularly proud to announce how their observations coincided with the theoretical calculations. The American experimental physicist. 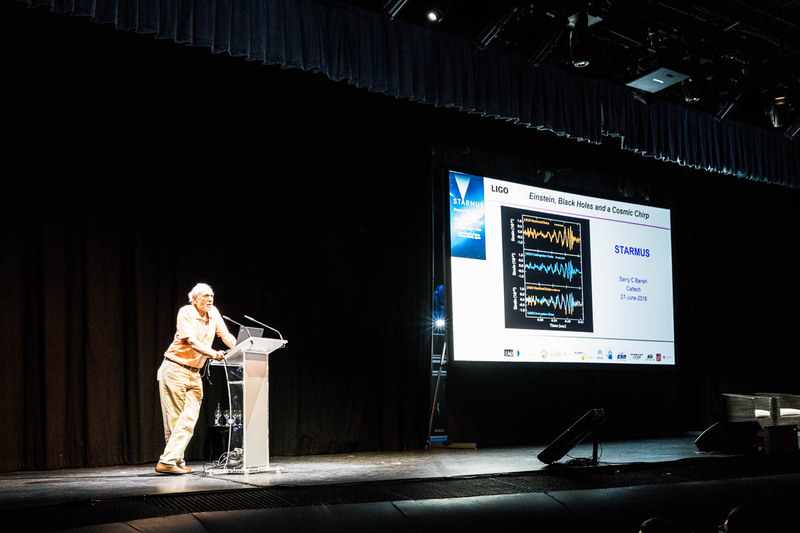 Is no doubt (deservedly) expecting his Nobel Prize for his work on gravitational waves. 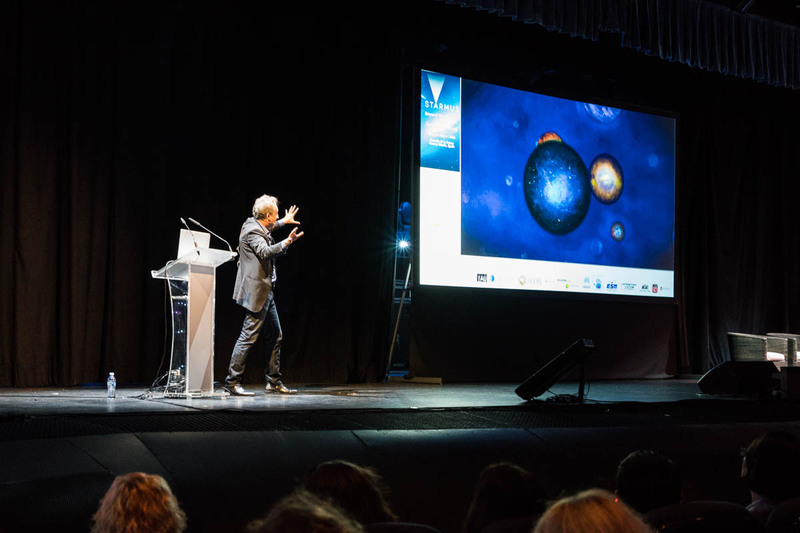 Told us all about gravitational waves – where the theory on them came from and its theoretical basis. He then told us how they practically confirmed the theory with their devices and measuring instruments (for this they had to lay around four kilometers of pipe in a near-vacuum). Very cool. Being a pragmatist, I don’t personally see any commercial value (even in a hundred years) of this scientific breakthrough, but for proving an old theory – I take my hat off (especially to those who paid for it:). The American (anyone not from North America? :) futurist, innovator and writer. An expert on AI (hmm, interesting topic). Told us about ‘small AI’ which is a button on a website, which does a lot of things simultaneously, and also about ‘real AI’, which won’t be with us for a good while yet. The American astronomer, physicist and a head honcho with both the Rosetta Mission and New Horizons. 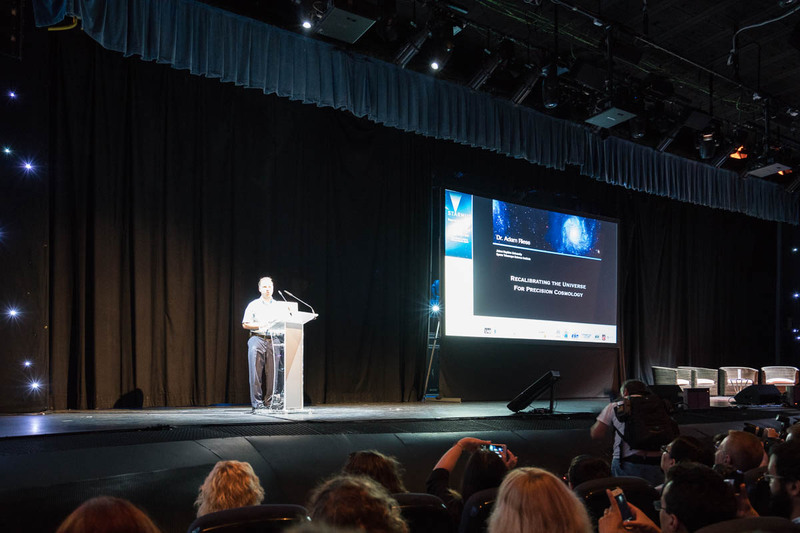 Told us lots about those two projects – how they started the space missions, what’s new that’s been found, what magical photos they took, and even a selfie of Rosetta with 67P/Churyumov-Gerasimenko in the background! A fascinating tale. My mind’s still reeling after it. The American astrophysicist and Oxford astronomy professor. His presentation: ‘Why the Fish Came Out of the Water’. Turns out it was because of the gravitational pull of the moon and sun, which cause tides to go up and down, and back in the Devonian certain fish needed to survive not only in water but also on shore. In order to survive they turned into amphibians. Curiously, I head a similar tale from a diver in Australia, who was also an (amateur) astronomer :). This, I have to say, was a rather dull speech. Thankfully, it was the only one out of all of them. As I’ve already mentioned, practically all the speakers were from the US. But what are we to expect? Of course the Europeans and Indians and Chinese study physics and astrophysics and the rest, but there’s one country way out in front that invests seriously in that study, and one country alone: It’s the U. S. of A. Again, hat off; respect. Every talk – even the dullest – was great. So complete and honest too. Each one: what they’ve done, how, what questions remain unanswered, what still needs doing… Like.